On this Sunday 14th October in Dunboyne at 12pm. This day is for Uneven Age group Juveniles and Intermediates (minimum age 20yrs of age in the year of competition). Juvenile Athletes may move up 1 age group to compete, except that juvenile athletes may not move up an age group in order to compete in under 9 competition. All juvenile teams shall comprise of a minimum of 4 scoring members in competition up to and including U14. In juvenile competion from U15-U19 then teams shall comprise of 3 scoring athletes. 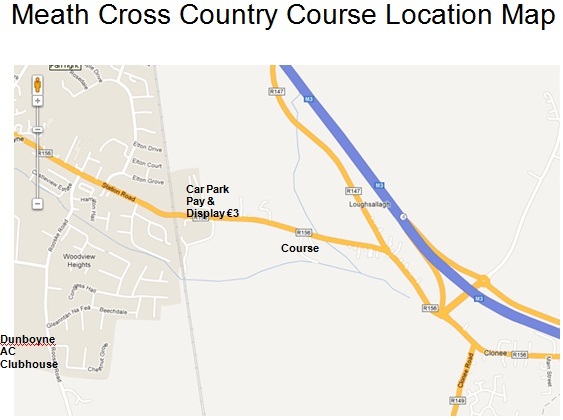 Rules as per the Meath Cross Country Rules and Regulations 2012. Cross country is a tough event for juvenile athletes and your coaches will be picking athletes to compete whom they feel will be able for the challenge now. 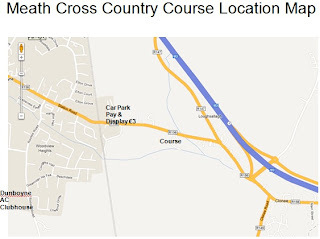 In Dec 16 there will be the cross country relays, a team event where the distances will not be as long and way more athletes will be eligible to be picked. We had a great turn out on the relays last year and would hope for an even bigger number of teams to compete this December.